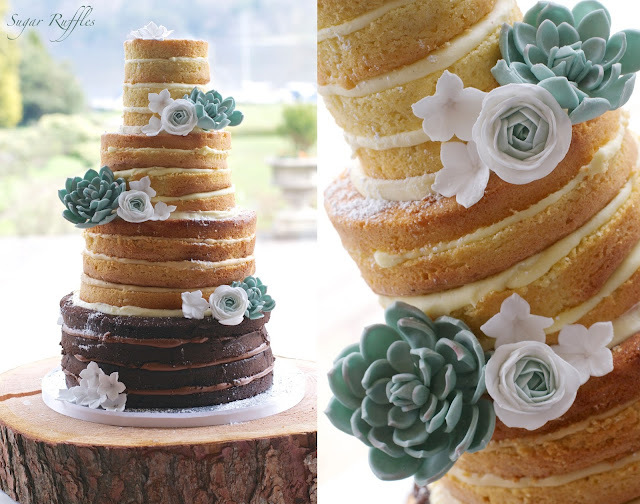 A 4-tier naked wedding cake decorated with sugar succulents and sugar ranunculus and petunia flowers. The flavours were chocolate, caramel, white chocolate and passionfruit and vanilla. 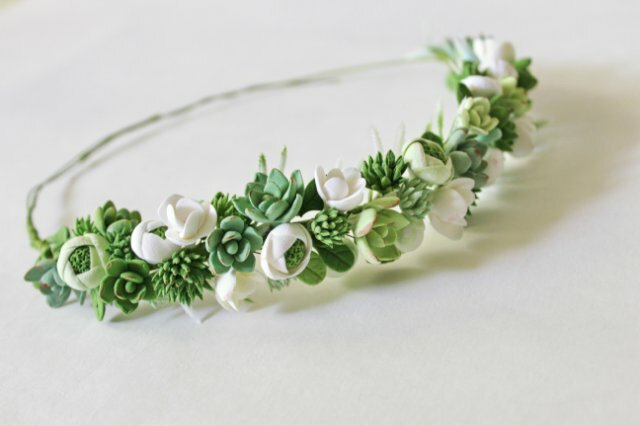 The flowers were inspired by the the brides beautiful floral headpiece.